It’s been another exciting and challenging year as IADC strives to fulfill the needs of an intensely demanding and always-evolving industry. In government affairs, for example, we continue to provide critical input on the EU’s Working Time Directive and critical court appeals that will impact day-to-day drilling operations. Our accreditation & certification department is further expanding its portfolio of services as the wider industry works to ensure the competency of our workers. Regulatory issues – such as the emerging biofouling challenge in Australia – have been closely monitored so that members won’t be caught short by unfair or unreasonable rules. We’re also pushing ahead with vital initiatives such as Career Connection, the Environmental Policy Advisory Panel and the newly set-up Well Servicing Committee and Advanced Rig Technology Committee. And, as always, issues of health, safety and environment remain at our core. We’re carrying on traditions such as the annual ASP program and, at the same time, advancing new global efforts such as the HSE Case Guideline. The following are operational highlights from the past year. The US Supreme Court rendered a milestone decision in the case – pending for nearly 20 years – of the 1989 oil spill in Alaska by the EXXON VALDEZ oil tanker. IADC had submitted an amicus brief in the case, as it carried implications for the liability of vessel owners ­­– including MODUs. 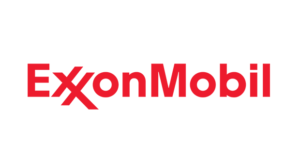 ExxonMobil, joined by IADC and others, argued that settled maritime law forbids the award of punitive damages against a vessel owner, who nevertheless remains liable for actual compensatory damages. The court didn’t accept that argument but did break new ground by limiting punitive damages to no more than compensatory damages. The decision establishes a “bright line” for punitive damages in maritime cases, which now cannot be left to the whim of a jury. After hearing testimony by industry groups, including IADC, the Aberdeen Employment Tribunal rendered a decision on the EU Working Time Directive that industry counted as a substantial victory. The “Jaeger” argument – that all time offshore is working time – was rejected. However, the tribunal decision also mandated two additional weeks of paid leave; therefore, the decision will be appealed. In the EU as well, significant progress has been made on the long-delayed new Working Time Directive (WTD). The current draft would solve the “Jaeger” issue, and a compromise on an “opt-out” from the 48-hour weekly maximum appears reachable. This EU proposal, however, does not affect the Scottish Tribunal appeal. IADC offered an amicus brief in a suit brought in Texas by an offshore worker under the Jones Act against Noble Drilling. The amicus brief before the Texas Supreme Court was joined by Frontier Drilling, Premium Drilling, ENSCO International, Transocean Offshore Deepwater Drilling and SeaRiver Maritime, the ExxonMobil marine transportation subsidiary. The case is on appeal from a lower court’s decision holding Noble to a different standard under the Jones Act for alleged personnel injury than has been established under settled jurisprudence. The court has taken preliminary steps to accept the appeal. The facts of the case turn on whether the offshore worker was made to handle unreasonably excessive loads in “slinging” operations as directed by the drilling company. IADC and other industry associations are fighting the Environmental Protection Agency’s plan for assessing potential damage to water resources from wastewater discharge in coalbed methane operations. Industry’s position is that the states already use delegated authority under the federal National Pollutant Discharge Elimination System to manage such discharges. EPA justifies its new study of CBM operations as permitted under the Clean Water Act. However, EPA already commissioned an outside study concluded in 2004 finding no harmful effects of hydraulic fracturing procedures in CBM E&P. The new investigation will examine basins in Appalachia, New Mexico and Wyoming. The EPA’s overly broad definition of “navigable waters,” as contained in its July 2002 Spill Prevention, Control and Countermeasure (SPCC) rule, was shot down by the US District Court for DC, marking a significant victory for the E&P industry. IADC had joined IPAA in providing comments to the docket, questioning the SPCC rule’s scope and cost. The rule had defined “navigable waters” as not only waters that a craft may be sailed on, but all waters with a past, present or possible future use in interstate or foreign commerce, including all waters subject to the ebb and flow of the tide, as well as intrastate waters. That definition would have forced the industry to prepare SPCC plans for facilities that were not previously subject to the SPCC rules, or maybe not even subject to Clean Water Act jurisdiction. Industry has met with the US National Oceanic and Atmospheric Administration (NOAA) as it considers adding Gulf of Mexico acreage to the national Marine Sanctuary Program beyond the currently designated Flower Garden Banks in the US Minerals Management Service (MMS) western GOM planning area. The additional designations could further limit oil and gas exploration throughout the GOM, and industry hopes to illustrate the value of its information-gathering efforts in determining shallow hazards, deep current regimes, and undersea pipeline routing, along with associated oil and natural gas gathering systems. IADC represented the drilling contractor industry at an MMS workshop held to let Gulf of Mexico operators make their case for “suspension of operations” on the claim that technology to exploit offshore leases isn’t available. 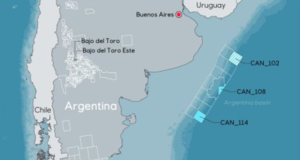 In its formal comment to the docket, IADC observed that the so-called technological barriers found in the deepwater GOM have been surmounted elsewhere in the world. Individual companies’ commercial decisions don’t justify lease extensions or suspensions, the association argued. To emphasize the importance of directly involving IADC in key policy formulations affecting UKCS E&P, IADC met with the UK Department for Business, Enterprise and Regulatory Reform (BERR). IADC pointed out that it solely represents the collective interests of drilling contractors, in the UK and the rest of the world, and that its members’ interests are often, but not always, aligned with the legislative and regulatory agendas of operator associations. Following the letter, an IADC delegation met with tax authorities in Jakarta on 6 August to further discuss the issue (For details, please see “Wirelines” on Page 177). IADC, joined by Halliburton, have met with the US State Department and the Nigerian Embassy to object to legislation requiring “Nigeria content” in oilfield services. The legislation would make it virtually impossible for foreign service providers to supply necessary materials and labor. IADC and Halliburton representatives pointed out practical problems such as local hire capacity and the lack of infrastructure. IADC also pointed out the sophistication and cost of offshore rigs and that personnel must be selected based on expertise to manage the rig asset, not nationality. In response to an European Commission request for extractive industries to “disclose payments to governments in their financial reports,” the European E&P industry highlighted its self-generated examinations of transparency and corruption. The formal industry response, led by the International Association of Oil and Gas Producers (OGP) and endorsed by IADC, argues that there’s no reason to mandate unilateral disclosure for EU-registered companies. In fact, several companies already voluntarily disclose payments to governments under the Extractive Industries Transparency Initiative. The governments contemplated are primarily outside the EU, especially in the so-called resource-rich developing world. IADC continues to promote ratification by the US Senate of the Law of the Sea Treaty, to which upwards of 150 countries have acceded. The association is still working with API and the National Ocean Industries Association (NOIA) to provide various testimony on behalf of the industry. Additionally, IADC participated in a debate on the topic in April 2008 before the District of Columbia Bar Association. The oil and gas trade community supports accession because it would expand US sovereignty over frontier deepwater areas beyond the OCS and would enhance rights of navigation for mobile offshore units. IADC is serving as a link to the drilling industry for the US Department of Energy (DOE) as the government renews its push for geothermal drilling – a green and renewable energy source. IADC hosted and facilitated a meeting between the DOE and drilling contractors in June 2008 to discuss geothermal and potential drilling opportunities. The DOE outlined its funding ($90 million over the next four years) and project plans and encouraged industry participation. IADC joined the US National Association of Manufacturers, Chamber of Commerce and National Foreign Trade Council to object to a proposal by the World Bank to ease government procurement standards for its country clients in the developing world. For IADC members operating in many areas of Africa, Latin America and Asia where the World Bank wields considerable leverage, the Bank has suggested that those governments can use a lesser standard of transparency and bidding for government contracts, including with state-owned oil companies. The opportunity for mischief and corruption would certainly increase if the standards were dropped to “country systems,” which often lack adequate advertising, requirements for public bid openings, and international arbitration options, in contrast with established OECD-sanctioned best-practice contract standards. IADC joined US producer associations to criticize MMS’ proposal to implement OCS provisions of the 2005 Energy Policy Act. The act instructed MMS to devise incentives for ultra-deep natural gas E&P via further royalty reductions in the Gulf of Mexico and offshore Alaska. The proposed rule would deny or limit royalty relief for ultra-deep wells sidetracked from existing wellsites, or secondary wellsites on existing leases. The anomaly is that deep wells with 15-25 BCF produced at 15,000-18,000 ft would enjoy royalty relief under current regulations, but new wells going deeper from sidetracked or secondary development wouldn’t enjoy any royalty relief — clearly contradicting Congressional intent to encourage the opening of new ultra-deep reservoirs. The industry associations urged MMS to reconsider the rule in light of its inconsistency with Congressional intent and the significantly declining replacement ratio of US natural gas reserves. Nine E&P industry associations, including IADC, sent a letter to US House leadership strongly opposing Title VII of the “Energy Independence Act,” which would roll back most oil and gas production incentives passed by Congress in 2005 and signed into law by President Bush. The letter notes that Title VII ignores the predicament of restricted natural gas and oil supply. “Instead of promoting production, this policy establishes further bureaucratic hurdles and penalties that punish exploration and production on federal lands in the United States,” the letter said. Other concerns include unnecessary bureaucratic hurdles, such as redundant statutes on water resources, surface owner protection and environmental analyses, and prohibition of certain production in the Gulf of Mexico and Roan Plateau of Colorado. IADC attended the annual UK Revenue & Customs Large Business Service, Oil & Gas conference covering issues important to operators and drilling contractors active on the UKCS. Topics included the current and future fiscal regime for UKCS exploitation, including an “environmental tax” on operators to offset carbon emissions. A range of R&D tax credits was also considered. IADC was invited by the UK government in 2003 to join its Offshore Contractors Forum, initially established to open a routine dialogue between the offshore production industry and UK tax authorities. Since then, UK Revenue & Customs has, in turn, sent representatives to IADC’s annual international tax seminar. IADC has been a leader in pursuing this objective, which would liberalize global trade in energy services, including drilling services. IADC senior vice president – government affairs Brian Petty co-chairs the Energy Services Coalition, comprised of 60 energy companies and trade associations promoting this goal at the WTO. 2008 IADC chairman John Lindsay of Helmerich & Payne IDC joined a group of producer representatives in a Denver meeting with Colorado Gov. Bill Ritter in May to express concerns about proposals of the Colorado Oil and Gas Conservation Commission (COGCC) to limit E&P activity in the state. Specifically, Mr Lindsay took issue with draft regulations that would suspend drilling operations for three months each year, allegedly in the interest of wildlife protection. He argued that not only would that discourage contractors from working in the state, but the drilling suspension could actually be as long as five months, considering the time needed for rig mobilization and de-mobilization. IADC submitted a formal comment to the COGCC docket reinforcing these arguments. With approximately 122 rigs operating in Colorado, mostly in the western slope Piceance Basin, IADC argues that the draft regulations could have a catastrophic impact on production and, thus, to revenue for Colorado. IADC is working closely with the Colorado Oil and Gas Association in challenging the COGCC proposals. IADC has joined oil trade groups API, AXPC (American Exploration & Production Council), IPAA, NOIA and USOGA to oppose HR 21, which purports to establish a sweeping overhaul and streamlining of US government ocean resource management. Proponents of the legislation have falsely claimed that the oil and gas industry supports HR 21. Consequently, a letter signed by leading E&P trade associations was sent to the Democratic chairman and ranking Republican of the House Natural Resources Committee denying that claim. The letter illustrated the flaws of the bill in terms of offshore energy development. For example, the bill mandates a “National Ocean Policy,” which must be implemented according to principles that are vague and that would open up a floodgate of litigation. IADC’s operations group remains at the forefront of a myriad of activities designed at increasing rig safety, personnel competency, and technical expertise through its various standing committees, regional operations and accreditation programs. IADC’s offshore division is actively engaged in revising the IMO MODU Code, marine engine rules, permitting for US waters and other key environmental issues. IADC also continues its work with industry groups related to the mismatched hammer union issue and regulatory alliances. Among the accomplishments of IADC’s numerous technical committees were revised definitions for underbalanced and managed pressure drilling. IADC’s Offshore Competency Training Programme has achieved major steps in harmonizing training requirements for offshore workers in Europe, setting standards that will eventually have global implications. The Drilling Industry Training Accreditation System has introduced a system of review and audit for previously unaddressed training programs. Regional operations continue to address contractor needs in Europe – such as through the European Operations Forum – and in the Middle East and India, with plans under way for an increased IADC presence in Asia. The Drilling Industry Training Accreditation System (DIT) has been officially launched and is fully operational. It is being offered as a general means of industry review and accreditation of training courses that are not accredited through IADC’s specialized accreditation programs. The DIT accreditation system assures that similar courses meet minimum standards and provide quality delivery of training. Custom-designed courses, whether for corporate in-house use or for commercial training provider delivery, may be accredited in instructor-led and electronic course formats. Components of the IADC Offshore Competency Training Programme, such as the Basic Introduction to Offshore Safety (BIOS), Helicopter Underwater Escape Training (HUET) and Further Introduction to Offshore Safety (FIOS) refreshers are accredited through DIT. Falck Nutec’s facility in Esjberg, Denmark, was the first program accredited under DIT, as well as the first accredited for IADC BIOS/HUET/FIOS courses. During DIT’s first year of operation, 32 courses were submitted for accreditation by companies located in Denmark, Oman, Saudi Arabia, the United Kingdom and the United States. Noble Drilling Land Support and Rowan Drilling UK were the first companies accredited under IADC’s Competence Assurance Accreditation (CAA) program. Both were granted conditional accreditation in February 2008 and received full accreditation after follow-up audits later in the year. Pride International, Nabors Arabia and Saudi Aramco’s Drilling and Workover Unit are awaiting accreditation. • Training policy and procedures document. • Identification of job positions to be deemed competent through the program. • Training resources and methods to support the training and development process. • Assessment system, a means to assess an employee’s competence. • Records system, a means of documenting satisfactory completion of training and assessments. • Quality assurance, a formal means of self-directed auditing for adherence to the published policies and procedures and reporting on a periodic basis. Companies can couple programs accredited by IADC under the DIT as integral components of their internal competence assurance systems. WellCAP PLUS continued to gain wider recognition in the industry as an enhanced alternative to existing WellCAP Supervisory Level instruction. The program uses a facilitated learning approach to improve participants’ critical-thinking and problem-solving skills. A record number of WellCAP Plus courses were delivered in 2008 in Thailand, Saudi Arabia and the US. Increased industry interest led to two WellCAP PLUS Facilitator Certification Courses being held in July and August, with 23 participants. Additionally, the first versions of the IADC WellCAP well control worksheets are available for surface and subsea applications in US Customary, metric and SI units of measurement. The Wait and Weight Method worksheets are available; the Bullheading killsheet draft is under review. WellCAP issues will be among the items discussed at an IADC Middle East Well Control Roundtable scheduled for 4 December 2008 in Muscat, Oman, immediately following the IADC Middle East Well Control Conference. In 2008, Joseph Levine, MMS chief of the operations & engineering division, requested the assistance of IADC’s Well Control Committee in developing formalized well control drills for the “hands-on” testing of rig personnel. Rig personnel drills will be used by MMS during rig visits to test the skills and training retention of those responsible for responding to a well control incident. Hands-on testing is part of MMS’ implementation of current US regulations requiring assessment of well control training effectiveness. 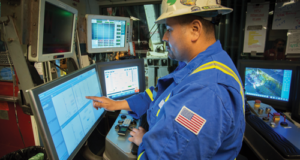 IADC, through the Well Control Committee, responded to MMS’ request by developing practical drills that can be run with minimal interruption to a rig’s ongoing operations. Drills applicable during drilling, tripping, cased hole, and logging operations were developed for hands-on testing of the toolpusher, driller, assistant driller, derrickman and floorhand/shakerhand. The hands-on testing program will undergo a three-month pilot program during Q4 2008. A trial run will be conducted on 2 September 2008; five MMS staff members are scheduled to visit Diamond Offshore’s Ocean Endeavor and test key rig personnel. Diamond personnel will undergo a written test and hands-on testing. They will then be given opportunity to provide feedback to MMS. MMS will collect comments received during the trial run and pilot program and make modifications. Full implementation of the hands-on testing program will occur in January 2009. IADC will release the newest enhancement to the venerable RigPass program, HSE Rig Pass Course-to-Go, in Q4 2008. It features a fully accreditable pre-packaged HSE RigPass orientation program, ideal for small- to medium-sized training providers or as a traveling course. Training providers need only add qualified instructor(s), a suitable training facility and follow RigPass administrative procedures. The course is then ready for delivery. The course offers interactive learning exercises through the point-and-click Mind Map system of delivery, which makes it ideal for training providers wanting updated training materials with this innovative system. The newest refinement to IADC’s HSE RigPass orientation for 2008 was adding the provision for accredited providers to print RigPass cards of their own design, a feature previously available only to WellCAP providers. IADC continues to hold annual workshops to assist RigPass providers in complying with RigPass data-reporting requirements and the additional reporting requirements to satisfy the operator-initiated SafeGulf program. The workshops answer frequently asked questions and assist providers in avoiding common pitfalls that delay the data entry process. IADC is also an active participant in the parallel SafeLand program. IADC’s Training and Operations Passport sales surpassed 10,000 in 2008. Passports, available in English, Spanish and Arabic, are being used by companies worldwide, with Weatherford, Saudi Aramco, XTO Energy, Maersk and Total Safety – North Africa among the largest users, with more than 1,000 passports issued by each company. Weatherford was the launch customer for the Spanish and Arabic versions and is using the passport in all three languages for operations around the world. The Spanish Passport experienced the greatest increase in sales in 2008, following enhanced marketing efforts in Spanish-language industry publications. To aid the global expansion of IADC’s accreditation and certification efforts, the association has signed an agreement with Det Norske Veritas (DNV) to use its worldwide network of auditors to assist in monitoring accredited training providers. This cooperative effort has removed one of the biggest restraints on IADC’s responsiveness to accreditation service requests. It is estimated that DNV will perform approximately 50 audits a year for IADC, adding to the 25 or more audits IADC has performed annually in the past. This expanded audit capability helps to assure continued quality delivery among IADC’s 200-plus accredited training providers worldwide. Need for DNV’s audit services will expand as IADC responds to the increasing number of new program applications received each year. Currently, 69 applications are pending review, site visit and accreditation. IADC also continues to utilize contract and member volunteer auditors who have participated in previous audits. The IADC Accreditation & Certification Department is certified by DNV for ISO 9001:2000 Quality Management System. The biofouling issue has pushed to the forefront over the past year, with one semisubmersible in Australia highlighting the significant impact – both financial and operational – these regulations can have on drilling contractors. In this case, the rig owner was told it must clean New Zealand green-lipped mussels from the rig’s hulls before it would be allowed entry to Australian waters. The last-minute clean-up resulted in $5 million in cost overruns for the drilling contractor, as well as lost revenue for the 23 days the rig was out of commission. However, this was only one case in what could be many more in the future. Not all consequences and applications of biofouling regulations are fully understood yet, but the concern is certainly great. Additionally, biofouling is unlikely to stay a regional issue specific to Australia. A mandate to perform studies to assess biofouling as potential vector for invasive species has been included in legislation introduced in the 110th session of the US Congress. It is still under consideration. 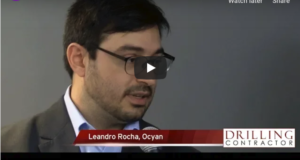 On the international arena as well, the issue has attracted the attention of the International Maritime Organization (IMO). The 56th session of the IMO’s Marine Environment Protection, 9-13 July 2007, approved a new work item for its Sub-Committee on Bulk Liquids and Gasses (BLG) on the “development of international measures for minimizing the translocation of invasive aquatic species through biofouling of ships.” This comes after consideration of a proposal by New Zealand, Australia, the UK, Friends of the Earth International and the World Conservation Union, urging IMO to address the issue. A target completion date of 2010 has been assigned, giving the sub-committee three sessions to complete the work. BLG has already given preliminary consideration to the issue and formed a correspondence group to review research, consider best practices, consider the practicality and feasibility of various options for international measure for control and make a recommendation to the sub-committee. The group also will begin developing interim guidance for minimizing the transfer of invasive aquatic species through biofouling. IADC is participating in the correspondence group. BLG will consider the correspondence group report at its next session, scheduled for 2-6 March 2009. This is a critical issue that IADC will continue to remain engaged with regulators worldwide to make sure its impact on drilling contractors’ business stays to a minimum and assure that drilling contractors are informed of new developments as they occur. Acceding to a long-standing recommendation by IADC, the US Transportation Worker Identification Credential (TWIC) rules have been amended to expand eligibility and to codify the final fees. Non-resident aliens are now considered eligible for a TWIC. IADC and the IADC Australasia Chapter continue efforts to communicate and cooperate with Australia’s National Offshore Petroleum Safety Authority (NOPSA), which has implemented significant changes since it began operations in January 2005, on a variety of issues related to the management of HSE. On the NOPSA-commissioned Hart Aviation review of offshore helicopter operations, IADC pointed out that the report is “cursory and lacking in relevant information” regarding the industry’s ongoing standards and guidance development. 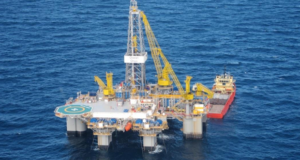 IADC asserted that drilling contractors and other operators of mobile offshore units (MOUs) typically don’t independently contract for aviation support — that is usually provided by the oil and gas development company. Therefore, personnel onboard MOUs are dependent on the planning of those companies for safe and efficient downmanning of their units. IADC also reminded NOPSA that the report fails to mention the International Civil Aviation Authority (ICAO) and its standards for international civil aviation. Australia is a member State of the ICAO, and its standards should have been offered as an alternative to the consultant’s recommended adoption of the UK Civil Aviation Authority’s CAP 437. Additionally, IADC pointed to the report’s sweeping and inaccurate generalization about the adequacy of helideck markings in the Gulf of Mexico. IADC noted that MODU helidecks in the GOM are regulated by the US Coast Guard, which applies standards either in the Code of Federal Regulations or the IMO’s MODU Code. IADC noted that a new edition of the MODU Code is under development and specifically seeks to harmonize its provisions with CAP 437. However, despite being made aware of this work, NOPSA has neither given any comments to IADC on proposed changes to the MODU Code nor has Australia submitted any information to IMO identifying deficiencies in the MODU Code or its proposed changes. • NOPSA’s recognition of drilling contractors as the operator is a radical departure from pre-2005 interpretation of the oil and gas company as the operator. Drilling contractors should not be held responsible for aspects of the operation that are outside of their control. Moreover, NOPSA should recognize that health and safety responsibilities are shared by several stakeholders; roles and responsibilities must be better defined. 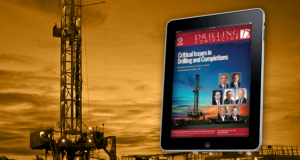 • The Safety Case revision process is distracting drilling contractors from efforts to improve safety performance. This includes the disproportionate number of Safety Case revisions required, in comparison with other facility operators; the significant resources that are deflected away from the actual management of offshore operations; and drilling contractors being forced to take responsibility for areas where they lack expertise or have no operational control. • NOPSA’s regulatory regime, which utilizes guidelines, is subject to differing interpretation – and even ongoing re-interpretation – and therefore is open to inconsistent application. • There is a lack of clear definition of NOPSA’s role and jurisdiction. Industry continues to face expansion of regulation applications, standards/codes of practice, reporting requirements, and jurisdiction from Australian waters to the construction/contracting of rigs while overseas. The report of the independent review team was tabled in the Australian Parliament in June 2008. The recommendations of the review team address a number of the issues the chapter raised in its review. DRET has written to the chapter seeking its involvement in the process of developing the appropriate response to the recommendations. IADC hopes this will allow changes to be made to NOPSA’s operations that address the concerns raised by the chapter. The 84th session of the IMO’s Maritime Safety Committee in May 2008 adopted amendments to the Special Purpose Ship (SPS) Code. The amendments included provisions introduced by IADC, which clearly indicate that the SPS Code should not be applied to units having a valid MODU Code certificate. Attempts by regulatory bodies to apply both Codes had been a sporadic and recurrent problem in some operating regions. The 51st session of the IMO’s Ship Design and Equipment (DE) Sub-Committee, in Bonn, Germany, in February 2008 largely finalized draft amendments to the Code for the Construction and Equipment of Mobile Offshore Drilling Units (MODU Code). IADC began working with the Liberian, Marshall Islands and Vanuatu registries in March 2005 to develop amendments to the MODU Code to bring it in line with current needs and to improve consistency with the Safety of Life at Sea Convention. Almost every section of the MODU Code is affected, with major changes affecting fire safety, electrical equipment in hazardous areas, helidecks, means of access, single-compartment flooding and jacking system standards for jackups, and training. Details of the proposed changes are available on the IADC website. Not entirely satisfied with the current draft, IADC will submit additional recommendations, particularly with respect to electrical equipment in hazardous areas. After additional considerations by the Sub-Committee on Fire Protection at its 2-6 February meeting, the draft revised MODU Code is expected to be finalized at the 52nd session of DE at its 16-20 March meeting and considered for adoption by the Maritime Safety Committee in late 2009. Numerous IADC members have contributed to the effort, but the sustained contributions of Jim Gormanson and Tracy Royce (Noble Corp), Warren Weaver (Transocean) and Bill Hedrick and Mike Marcom (Rowan Companies) are especially noteworthy. • Require existing engines (1973 or later, through Tier 2), as they’re remanufactured, to have certified remanufacture systems installed on them once such systems are available, possibly as early as this year. • Set near-term (Tier 3) standards for newly built engines that reflect currently available emission reduction technologies. These standards phase in starting in 2009. • Set long-term (Tier 4) standards for newly built engines that are based on the application of high-efficiency catalytic treatment technology. These standards phase in beginning in 2014 and are dependent on the availability of ultra-low sulphur diesel (ULSD), with sulphur content capped at 15 ppm, as well as an infrastructure to supply reductants (typically urea) to the vessel. It is estimated that the volume of urea/water solution carried onboard will need to be at least 5% of the diesel fuel capacity. EPA recognizes that vessels equipped with Tier 4 engines will face difficulties in areas where ULSD and reductants may not be available and has provided a means to request a temporary exemption to allow non-conforming fuel to be used and control equipment to be altered or bypassed. These regulations affect only US-flag vessels; standards for foreign vessels will be addressed in a future rulemaking that will take into account the results of ongoing negotiations at the IMO regarding changes to its MARPOL Annex VI Air Pollution Regulations. On 17 June the US EPA issued a draft National Pollutant Discharge Elimination System (NPDES) Vessel General Permit (VGP) for Discharges Incidental to the Normal Operation of Commercial and Large Recreational Vessels. The draft permit, which, under court order, could apply to vessels (including MODUs and MIDUs) within US territorial waters beginning 30 September 2008, would establish control over more than 25 identified “discharge streams” that have the potential to result in pollutants entering the water as the result of normal vessel operations. While IADC has urged EPA to continue to pursue legal action to overturn the court order necessitating the proposed permit, recognizing that this may not be possible, or timely, IADC submitted extensive recommendations seeking to improve the proposed permit while making compliance, particularly for vessels that are only temporarily within the territorial waters, less burdensome. Early on, IADC had identified the need for EPA to authorize an additional discharge stream to permit use of lubricated wire rope and machinery that may be immersed. IADC has also asked EPA to clarify how the proposed permit will interact with other EPA regulations governing cooling water uptake and restricting transporting materials outside of US waters for discharge. API has published API Specification 4F, 3rd Edition — Specification for Drilling and Well Servicing Structures. It states requirements and gives recommendations for suitable steel structures for drilling and well servicing operations for both onshore and offshore drilling and well servicing structures, provides a uniform method of rating the structures, and provides two product specification levels. Among other changes, this edition significantly updates the wind load design requirements. The wind force is now based on the forces on individual members in the drilling structure. This edition also introduces a “structural safety level (SSL)” to offer design requirements for differing environments. The SSL changes the design requirements based on the consequences of failure. • Drilling structures being moved to different geographical regions will need to be checked to ensure the design wind loading are adequate for the area it is planned to be used in. • Modifications to existing structures built to previous versions of API specifications may cause engineers to perform additional analysis using the new Spec 4F methods and recommend structural modifications. API also has published API Specification 7-2, 1st Edition – Specification for Threading and Gauging of Rotary Shouldered Thread Connections. It specifies requirements on rotary shouldered connections for use in petroleum and natural gas industries, including dimensional requirements on threads and thread gauges, stipulations on gauging practice, gauge specifications, as well as instruments and methods for inspection of thread connections. This action reflected the US national adoption of ISO 10424-2. Spec 7-2 replaces threading and gauging previously covered by API Spec 7. The new IADC Advanced Rig Technology Committee held its inaugural meeting during the 2008 IADC/SPE Drilling Conference in Orlando, Fla., on 5 March. 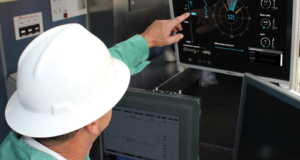 The group is working toward guidelines and best practices for automated drilling systems, as well as examining standard methods of reporting reliability problems with advanced rig equipment. • Reliability, organized to collect statistics on top-drive reliability. • Control motions, which seeks to define critical control motions for key systems, including primary safety systems and control chairs. • Software Interface, which seeks to harmonize software interfaces and ensure that systems can communicate readily. • Guidelines, to develop decision matrices on when automation is appropriate and guidelines for training, HSE and operation. • Future Technology: Looking at desired and possible advances in rig technology in the future. The new IADC Well Servicing Committee held its first meeting at IADC headquarters in Houston on 10 April, to develop a mission that would better serve the well-servicing segment of the industry. Some 106 of IADC’s 380 contractor member companies report owning or operating well servicing rigs. In total, IADC members operate 2,385 well-servicing units of all types. Members of the committee determined at the first meeting that IADC expertise in certain key areas, including well control, training and worldwide scope, would be highly beneficial to the well-servicing industry when applied to the special needs of production rigs. The committee determined that it would work collaboratively with other organizations, including the Association of Energy Servicing Companies. Joe Eustace, president of Pioneer Production Services, was elected as committee chairman. The mission of the IADC Well Servicing Committee is to advance the interests of IADC’s well-servicing members in HSE, well control, training, regulation/legislation and other areas where IADC’s expertise proves advantageous. The IADC Well Servicing Committee will pursue initiatives both independently and in collaboration with other key industry organizations. The new IADC Ethics and Corporate Compliance Committee held its inaugural meeting on 25 September 2007. Chaired by Brady Long, chief compliance office & deputy general counsel for Pride International, the committee’s mission is to foster the understanding and compliance with US and international laws, including but not limited to laws pertaining to corruption, bribery and import/export. The committee also promotes the highest standards of ethics within the drilling industry by providing a forum for sharing strategies designed to promote ethical behavior. Through shared best practices, the committee works to educate its members on developments in principles of ethics and applicable laws, as well as trends in enforcement. Since the inaugural meeting, the committee has met on a quarterly basis with featured speakers who are experts in the ethics arena. To date, speakers have included Alexandra Wrage, president of Trace Inc; Matt Kelly, editor-in-chief of “Compliance Week”; and Christine Savage, partner, King & Spalding. The committee is seeking CLE/CPE qualification for future meetings. 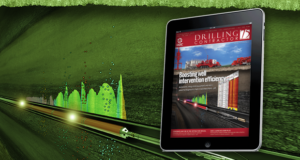 The IADC Technical Publications Committee (TPC) continues its work to publish a comprehensive, practical and readily understandable series of peer-reviewed books on the petroleum drilling industry in order to educate and guide industry personnel at all levels. With one book (“Casing and Liners for Drilling and Completion”) under its belt, the TPC is focusing on publishing several additional works, including waste management, managed pressure drilling, drilling fluids and formulas and calculations for drilling. The TPC is chaired by Leon “Doc” Robinson. Returning Military Campaign (RMC), the second phase of the IADC Career Connection (ICC) program, was launched in 2008. To help facilitate the program IADC established a working relationship with the Army Career Alumni Program (ACAP), which provides job assistance to returning military as they transition to civilian life. With support from ACAP, IADC organized the first RMC job fair at Fort Hood in Killeen, Texas, on 9 January. More than 250 soldiers were greeted by representatives from 17 drilling companies. Due to the success of this inaugural RMC event, IADC returned to Fort Food on 14 May for a second job fair, which more than 2,000 soldiers attended. In total, approximately 20 drilling contractor companies participated in these two events. IADC is hosting a third RMC job fair at Fort Carson in Colorado Springs on 18 September and is considering an RMC event in Europe. The goal of ICC is to assist the drilling contractor industry to develop non-traditional sources of recruiting in Europe and North America to help find the future workforce needed to operate the world’s drilling rigs. IADC is not taking on a recruiting role but acts as a liaison between its member companies and potential employees in the industry’s search for talented workers. As part of its continuing effort to promote HSE commitment and advances in drilling technology, IADC has formed the European Operations Forum (EOF). The EOF builds on the achievements of the European Working Group and is a stronger IADC regional body focusing on policies that effectively meet drilling contractors’ 21st-century needs. The EOF provides overview and guidance for IADC offshore and onshore activities in the region. Coordinated with the various IADC operations departments and government affairs office, it is the focal point for dialogue with regulatory agencies across Europe while also being responsible for the execution of activities and projects for drilling contractors operating in the region. More information about EOF activities can be found on IADC’s website. Since the launch of the HSE Case Guideline in October 2006, IADC has received significant global support and praise from drilling contractors for the user friendly style of the offshore version of this document and its outputs. Likewise for the land version, which was launched in October 2007. Many now see both documents as the two most significant HSE reference documents available for global drilling operations. Workshops and presentations on the content and use of both HSE Case Guidelines (offshore and land) have been undertaken worldwide since their launch. Feedback from these sessions have been valuable in ensuring that both documents reflect the requirements of drilling contractors and other stakeholders. This information enabled IADC to launch a revised and updated Appendix 4 – Legislative Index to the offshore version of this guideline in October 2007. This first update reflected changes in Coastal State legislation since the original launch and incorporated the requirements of several additional countries that now require an HSE Case. This appendix also provides information on the necessary compliance with Coastal State regulatory requirements and their individual review and assessment regimes. All documents are available for complimentary download from the IADC Publications Catalogue web page. With more experience gained from their use, drilling contractors have identified areas in both the offshore and land versions of the guidelines that could benefit from enhancement and updating. Likewise, they feel that additional guidance is now necessary in three specific areas: risk management, especially the “Bow-Tie” methodology; combined, concurrent and simultaneous operations; and the development of bridging documents. With this in mind, a programme of review, enhancement and updating of both versions of the guidelines is now under way. It is anticipated that new releases of both sets of guidelines will be available in September 2009. • Policy level, which is restricted to representatives of IADC member drilling contractors having policy-level responsibilities for HSE management systems (from either an HSE or operations perspective) at corporate, regional or national levels. 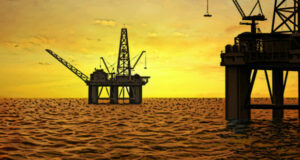 • Development level, which includes drilling contractors, consultants and others, responsible for developing HSE Cases. • Implementation level, which is intended to serve as a mechanism for exchange of information for rig managers and others with direct responsibility for HSE Cases developed using the IADC Guidelines. • Regulatory level, which is aimed at staff of regulatory bodies and oil companies with interest in HSE management systems, particularly those who mandate HSE Cases for rig operations. The IADC Offshore Competency Training Programme has taken several big steps over the past year as it went from regional to global and became the “de facto” standard for drilling crew competency and training, commencing January 2008. The programme aims to help offshore personnel to freely move across national borders by providing a training matrix acceptable to all nations. By undertaking courses according to this matrix, marine and rig crews will demonstrate a sufficient level of competency. The North Sea Offshore Authorities Forum (NSOAF) was the first to recognize IADC’s programme as a framework that lays “the foundation for efficient movement of personnel working on mobile units” at its 2007 annual meeting. So far, three oil industry associations (NOGEPA in The Netherlands, NSOC-D in Denmark and OLF in Norway) and five government agencies (Denmark, Germany, The Netherlands, Norway and the UK) have agreed to accept the IADC programme. In December 2007, the first fully certified Basic Introduction to Offshore Safety (BIOS) and Helicopter Underwater Escape Training (HUET) course was held at the Falck Nutec facility in Esbjerg, Denmark. Six participants – three from Maersk Contractors, two from Noble and one from Seadrill – undertook the three-day course. It was witnessed by the Danish Maritime Authority, Norway’s OLF, the Danish Oil Industry Association, Oil and Gas UK / OPITO and audited by DNV. The course, given in English to participants of five nationalities, was a great success. All participants undertook the OLF “e-learning” package prior to arriving and passed the written examination on the first day. After course completion, all participants were issued four-year validated certificates allowing offshore travel in all North West European Countries (Denmark, Germany, Norway, The Netherlands and the UK) and further afield. Then, in February 2008, continuing to promote wider awareness and understanding of the programme, IADC held an industry symposium in Amsterdam. The event covered historical developments in training harmonisation dating from the early 1990s, along with the content, testing and acceptance of the current programme. IADC’s process for assuring the quality of both the training providers and the IADC standard courses that they intend to teach was outlined, along with the proposal for ongoing verification of competence of drilling crews. 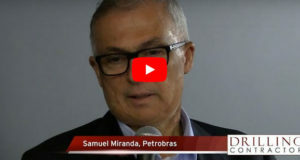 Representatives from all sectors of the offshore oil and gas industry in Canada, Europe, Russia and the United States attended the interactive event. The European Operations Forum Training Workgroup is aiming to develop this programme further with the active participation of our social partners in the region. Resolution of the issues affecting widespread recognition have been addressed, enabling the Training Workgroup to focus more attention on specialist and function / trade courses for inclusion in the programme. Although it is likely to take 18 months or more to complete this programme, by virtue of its modular nature, it is possible to roll out new courses as they are developed, thus expediting its take-up and use. 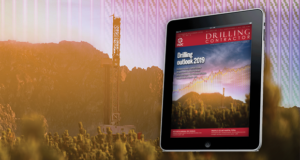 In an effort to streamline information being distributed by e-mail within the drilling industry, a series of consolidated reference notes are being developed for members operating in Europe. These reference notes, issued on a periodic basis, bring together notifications from various organizations of recently published consultation, guidance, safety and operations notices and other documents that may impact offshore and onshore drilling activities, especially within Europe but also potentially beneficial worldwide. The reference note will be produced periodically when additional information is made available. It can be downloaded from IADC’s European Operations Forum web page. The mission of IADC’s Middle East & Asia office is to maximize the value of all IADC activities and programs for the benefit of member companies operating in those regions. During 2008, this effort has focused on the proliferation of accreditation programs, particularly RigPass and WellCAP. In addition, participation of members in Southeast Asia, China and India continued to increase. The increase in rig activity in and around the Arabian Gulf has strained the region’s limited supply of suitable equipment and experienced people. Long lead times for additional rigs and replacement parts and supplies have impacted drilling performance. The need for additional personnel, combined with the drive to nationalize the work force, has created a strong demand for effective training and, hence, IADC accreditation programs. RigPass and WellCAP, as well as the Drilling Industry Training Accreditation Program and the Competence Assurance Accreditation Program, are being adopted throughout the Gulf region. These programs ensure the quality of training while providing a benchmark against which contractors and service providers new to the region can be measured. Increasingly complex and challenging wells have caused companies to focus not only on entry-level training but also on more advanced programs. Rapid advancement of less-experienced personnel has also brought attention to programs such as IADC’s WellCAP PLUS. In 2008, Saudi Aramco, whose internal programs are already accredited by RigPass and WellCAP, conducted its first WellCAP PLUS training program, with other Gulf Cooperation Council oil companies expected to follow suit. IADC maintains two active chapters in the Middle East; the Northern Arabian Gulf Chapter and the Southern Arabian Peninsula Chapter. These groups meet regularly to address challenges common to members in their areas. The chapters also serve as a focal point for distribution of IADC materials and provide a reservoir of volunteers for conferences and other headquarters-managed initiatives. IADC continues to provide a forum for information sharing in India’s E&P industry, with the 19th IADC Technology Meet held in December 2007 in Mumbai attracting about 500 delegates. ONGC, the country’s largest oil and gas company, continues to provide strong support for IADC through the South Central Asia (SCA) Chapter and programs such as WellCAP and the Drilling Industry Training Accreditation Program. This year marked the 10th year since the Well Control School of the ONGC Institute of Drilling Technology (IDT) was accredited under WellCAP. According to IDT, the incidence of blowouts has decreased by 90% in that time. 2008 saw China continue to expand its role in the global drilling marketplace. Chinese-manufactured rigs have helped to satisfy operators’ demands for additional capacity, while the contribution of Chinese drilling contractors has helped to achieve drilling targets in most key operating regions, including the Middle East. With this growth in activity, Chinese companies have turned to IADC as a source of information and programs useful in all aspects of the drilling business. For example, there are currently nine Chinese well control training centers accredited under WellCAP, with one additional school pending. Southeast Asia, too, is growing in importance as that region’s national oil companies strive to develop their country’s natural resources. More and more, these companies turn to IADC as the leader in drilling-related activities and tools. IADC will be a valuable partner as these companies build their own drilling competency and as more and more drilling contractors enter the region. Revised definitions have been adopted for the terms “managed pressure drilling,” “underbalance,” “underbalanced drilling” and “underbalanced operations.” The IADC Underbalanced Operations & Managed Pressure Drilling Committee ratified the new definitions as part of an effort to clarify these operations, which are sometimes confused by industry decision-makers. Last year, the UBO & MPD Committee completed its “best practice” document for underbalanced operations. The document was submitted to API’s Executive Committee on Drilling and Production Operations and adopted as API RP 92U, Recommended Practice for Underbalanced Operations, 1st Edition. Work has since begun on the partner document for managed pressure drilling which will also be submitted to API as an RP. In May, the MMS issued a “Notice to Lessees and Operators” (NTL) providing guidance for conducting MPD projects in the Gulf of Mexico. The NTL specifically addresses the constant bottomhole pressure variation of MPD as defined by IADC. Under this approach, MPD is limited to maintaining an overbalanced state in a closed system through the use of mud density and annulus friction pressure, using either equivalent circulating densities and/or casing back pressure with a statically underbalanced mud system. 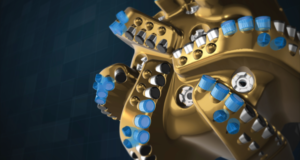 MMS acknowledged the “input and cooperation” of the IADC UBO & MPD Committee in the NTL, which is seen as a significant step toward bringing MPD technology into the mainstream, according to former committee chairman Joe Kinder of Secure Drilling. The IADC committee is now drafting guidelines for fluids for underbalanced operations. Additionally, a task group is updating the committee’s “standards gap analysis” to reflect current operating practices and newly adopted standards such as API Spec 16RCD, for rotating control devices, and Spec 7NRV, for non-return valves. 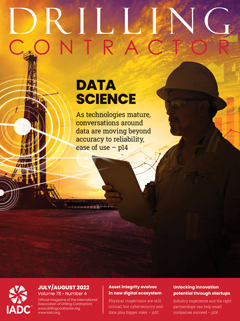 To provide members with the most up-to-date information on the practical and legal aspects of oil and gas drilling contracts, contracts workshops have been held in Texas and Colorado over the past year. The events focus on the principles of contracting using the IADC model contract form as a guide. Topics have included risk/reward and market strategy; indemnification and risk of loss; and managing liability. Additionally, the 2008 IADC Contracts & Risk Management Conference is being held in October addressing a wide range of issues. Topics include anti-indemnity agreements, challenges of international contracting and, for the first time, ethics and anti-corruption compliance practices. The drilling industry set another record with the lowest ever lost-time incidence (LTI) rate of 0.53 in 2007, a 5% improvement over 0.56 in 2006. The number of fatalities decreased as well, from 29 in 2006 to 23 in 2007. The largest percentage of the fatal incidents – 10 of the 23 – involved employees who had less than one year of service with the company. For a full summary of results from the ASP Program, please see Page 100. OSHA continues to rapidly expand its industry outreach effort through regional alliance networks that began with the STEPS Network (South Texas Exploration & Production Safety Network). The collaborative effort helps OSHA to make alliance efforts with HSE professionals in the upstream oil and gas industry. Participants include operators, drilling contractors and service companies. 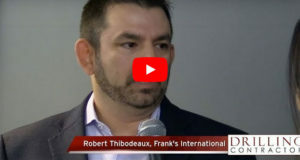 Since the South Texas network was formed a couple of years ago, four others have been added in the Permian Basin, the Four Corners area, Oklahoma and ArkLaTex. Three more are in the planning stages – in Colorado’s D-J Basin, in Western Colorado and in Wyoming. OSHA updated its standards for personal protective equipment (PPE). Existing references to specific consensus standards were replaced with performance language requiring PPE to be constructed in accordance with good design standards. Guidance for determining what is a good design standard was included. In addition, OSHA added non-mandatory appendices that list standards constituting good design standards. OSHA’s final rule requiring employers to pay for PPE required in the workplace became effective in February 2008, with implementation in May 2008. IADC had opposed the rule when it was published in 2004. The final rule requires employers to pay for all PPE other than non-specialty safety-toe protective footwear and non-specialty prescription safety eyewear, provided that the employer permits such items to be worn off the job site. The employer has to pay for specialty footwear, non-prescription safety glasses, specialty prescription safety glasses, goggles, hard hats, all types of work gloves and other PPE required to protect workers in the work place. Under a final rule announced by the Federal Motor Carrier Safety Administration (FMCSA), there will be no changes to the 11-hour drive time and 34-hour restart provisions in the US federal hours-of-service rule for truck drivers. This rule regarding commercial driver hours of service (HOS) regulations came after a protracted court challenge. It allows motor carriers and drivers to restart calculations of the weekly on-duty time limits after the driver has at least 34 consecutive hours off duty (34-hour restart). Oilfield operations retained the exception, the 24-hour restart for 7/8 day duty periods, but must comply with 10-hour consecutive off duty, 11-hour driving limitation and 14-hour on-duty limitations. An API task group led by Shell has completed a document aiming to improve the design and safety of hammer unions, with one part targeting users and one part targeting manufacturers. IADC staff and member representatives continue to participate and is reviewing the document before it goes to API Subcommittee 8 for a ballot vote later this year. The issue of mismatched hammer unions has been a concern with IADC members going back to 1998, with several Safety Alerts having been issued on this topic. The FMCSA proposed revising the standards for mandatory training requirements for entry-level operators of commercial motor vehicles (CMVs). This proposed rule does not apply to those who currently hold a commercial driver’s license (CDL) or those who obtain a CDL at least three years before the final rule goes into effect. Starting three years from the rule’s effective date, those applying for a new or upgraded CDL will have to successfully complete specified minimum classroom and behind-the-wheel training from an accredited institution or program. This proposed rule could affect IADC member companies that seek to promote employees who do not have a CDL to positions that require one. The National Occupational Research Agenda (NORA), a subgroup of the National Institute for Occupational Safety and Health (NIOSH), established a council to study upstream oil and gas industry injuries and recommend ways to improve safety. The NORA Sector Council will represent all stakeholders in the upstream industry. At its meeting on 28 July in Denver, Colo., four groups were set up to conduct research and make recommendations on developing industry standards to improve safety in the upstream sector. These groups will cover operations, information-regulatory/industry associations, education/training and workforce issues. IADC plans to participate on the first three groups. The next NORA meeting is scheduled for 5 February 2009, in conjunction with the 2009 IADC HSE & T Conference in Houston. However, before that, each research group plans to hold online meetings every six weeks to discuss its progress. The IADC Executive Environmental Policy Advisory Panel held its opening meeting in March 2008, with discussion centered around what environmental data drilling companies collect for internal or public use. A survey of drilling contractor members on the measurement of environmental performance was then conducted, and its findings were presented at the advisory panel’s second meeting in June 2008. The panel is now working on internationalizing IADC’s guidelines for collecting environmental data, originally created by the IADC HSE Committee. Companies that transport or offer for transport hazardous materials must register with the US Department of Transportation. This includes drilling contractors, and the Pipeline and Hazardous Materials Safety Administration proposed increasing the registration and fee assessment program from $975 to $2,475 starting in 2009. The purpose is to gather information about the transportation of hazardous materials and fund the Hazardous Materials and Emergency Preparedness grants program.